As the powerful iOS data recovery software, iRefone supports to recover deleted or lost data on iPhone, iPad and iPod. 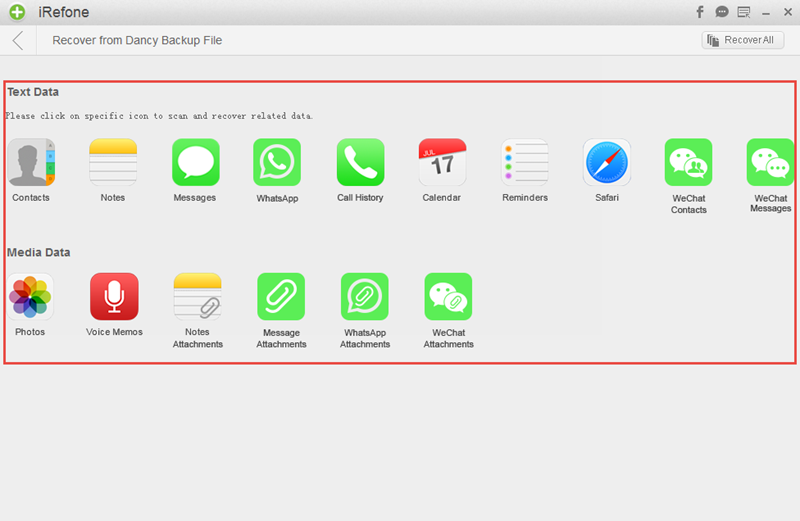 It provides three recovery mode to recover data directly from iOS device, iTunes backup and iCloud backup. It supports to up to 16 kinds of files including messages, notes, contacts, call history, photos, whatsapp, wechat and more. Before recovery, it enables you to preview data in the software interface.